If you follow me on my instagram (@vanitynoapologies) and snapchat (@vanitynoapology) then you know I recently went for a hair makeover. This post is all about the queries I got after that. I went for 2 services that day: liquid hair and hair colour. 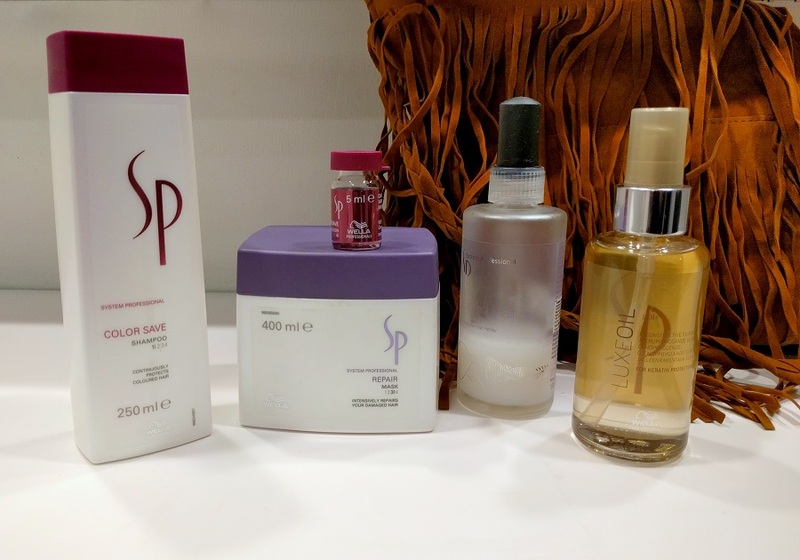 I will talk about Wella SP Liquid Hair in this post and in the next post I will talk all about my new hair colour with tons of pictures for you to drool over. The reason I went for the liquid hair treatment from Wella because as you know I suffer from hair fall issues in this season. A lot of experts tell me I’m blessed with beautiful hair but a girl has to worry or she isnt a girl! I’ve been heat styling and blow drying my hair for a lot of events and it definitely takes a toll on my hair. Add to it the autumn season when I suffer from hair fall and dandruff which scares me everytime I shampoo or brush my hair. 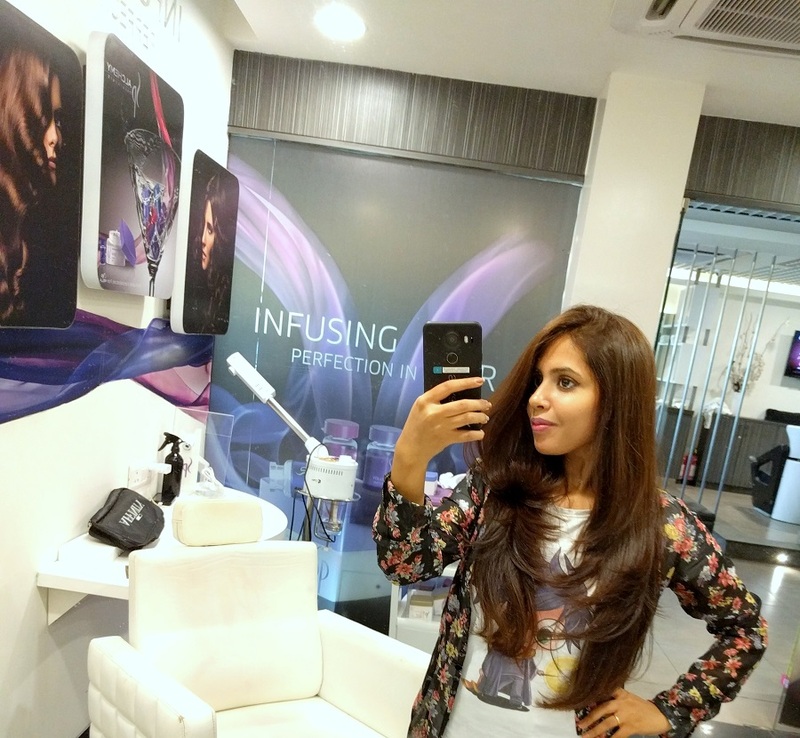 So I booked an appointment at Affinity Salon, Pitampura which is like 15 mins from my place and walked through the door at around 11am the next weekend. Wella System Professionals Liquid Hair is a Molecular Hair Refiller that reconstructs the hair fiber at a molecular level, reinforcing the hair for up to 5 washes. The next generation of Liquid Hair contains the renowned RPN (Repair, Protect, Nourish) formula and is infused with New Molecular Hair Restructurer technology with keratin building and essential amino acids blocks to instantly refill the hair cuticle and strengthen lastingly damaged hair. 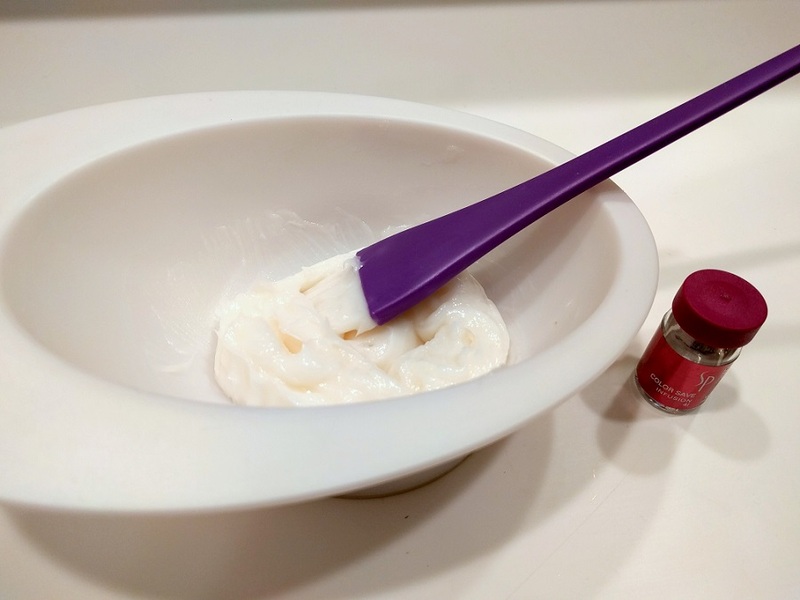 Liquid Hair was especially developed for sensitized and fragile hair with due to its ability to Reconstruct the hair fiber with selected amino acids which are the building blocks of hair’s keratin. It provides the hair with more resilience and vitality. It is also perfectly suitable for people With fine damaged hair due to its lightweight formulation. 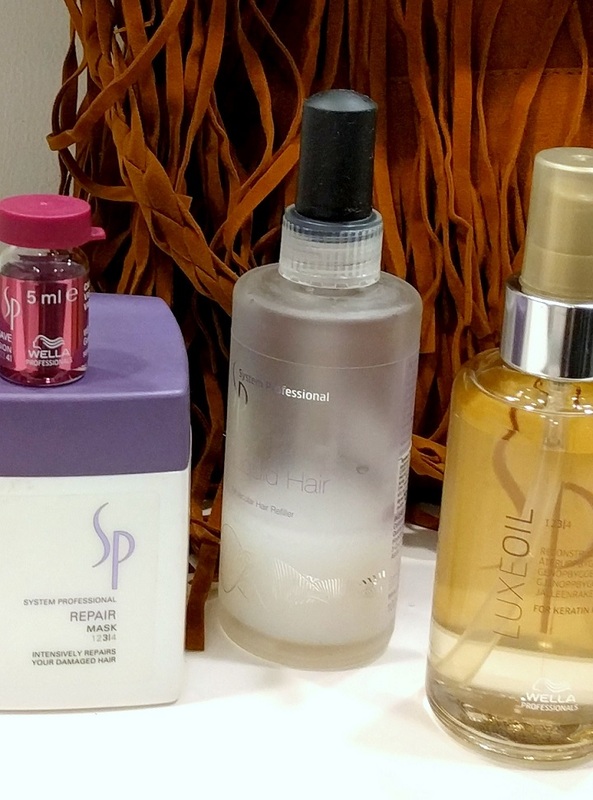 The SP liquid hair is available to buy online but I went for the salon treatment to see how the experts use it. I decided I would experience the service once and then make up my mind about buying the full bottle later. They first did a hair spa using the Wella SP Repair Mask and my favourite wella luxe oil which I always use post shampoo. 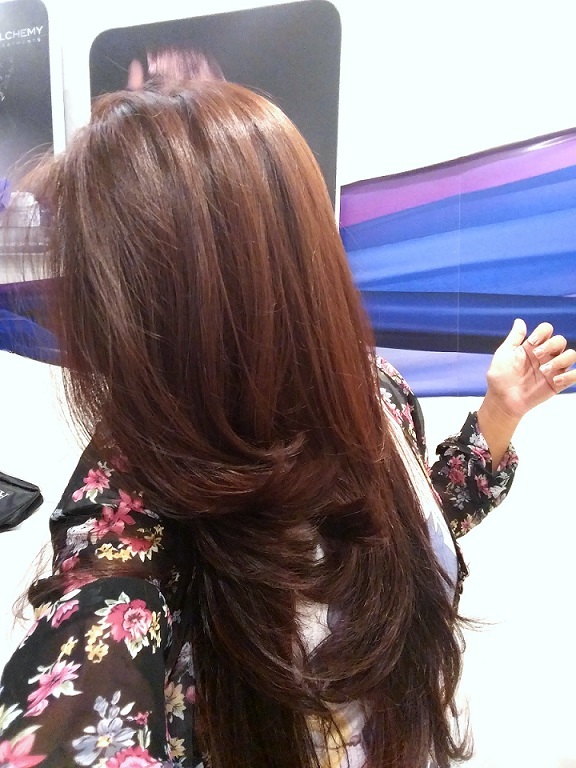 After the hair spa they sprayed a generous amount of wella liquid hair serum all over my hair and blow dried. 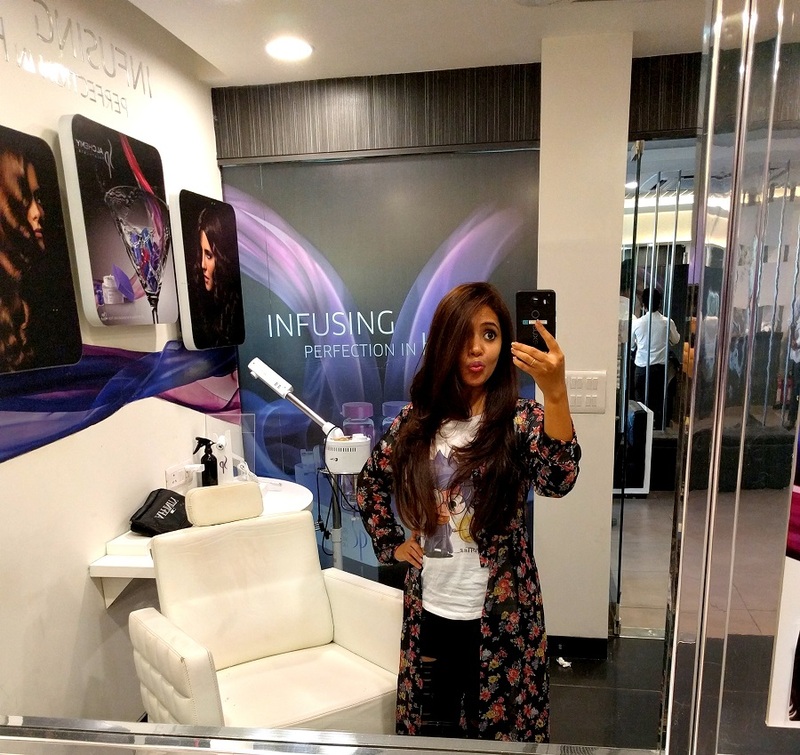 I was told that the heat from blow dry helps the serum get absorbed by hair faster. This treatment is especially developed for sensitive and fragile hair. The thermo-activation refills the hair from the inside out and provides high performance through expert application. The treatment is supposed to last 5 washes and its been only 2-3 washes so far (yep I can get lazy in winters!) and till now my hair fall is in control. Its still there but not as crazy as it used to be. I still get about 50-60 strands on my comb so I guess it would go down after a few more treatments. 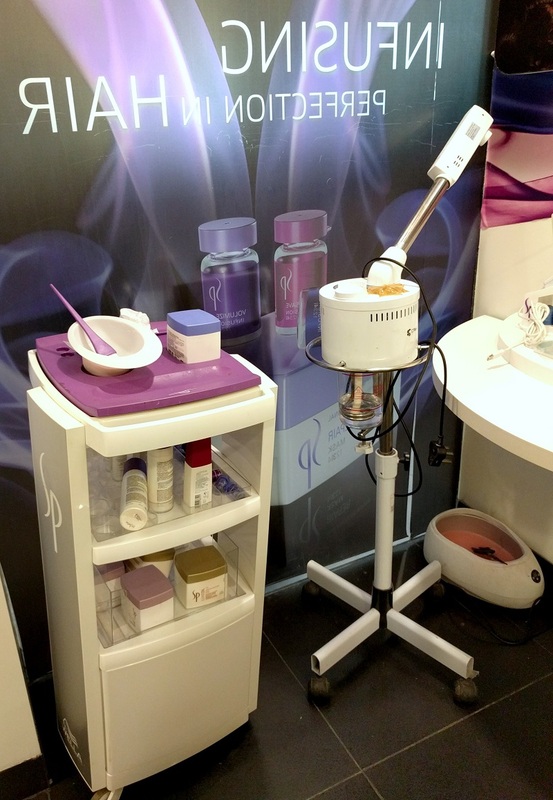 I suggest you go for the salon treatment for your first try and then buy the full bottle for subsequent uses. At home liquid hair treatment would definitely come out cheaper so that’s my 2 cents. 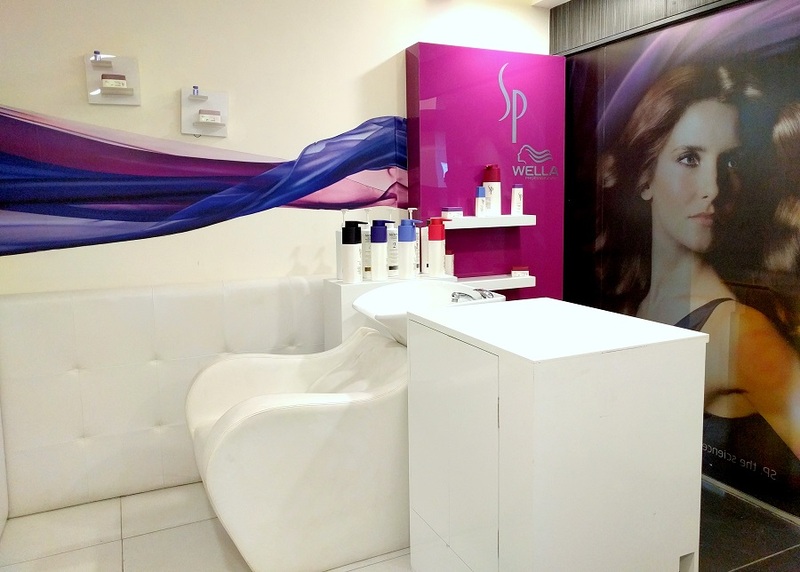 The new SP Liquid hair is a perfect product for people with fine or damaged hair due to its light weight technology. It is infused with a Molecular Hair Refilling Technology based on the essential amino acids that strategically penetrate into the hair to restructure the damaged fiber making your hair appear much smoother and stronger. I’m also posing a teaser of my new hair colour. 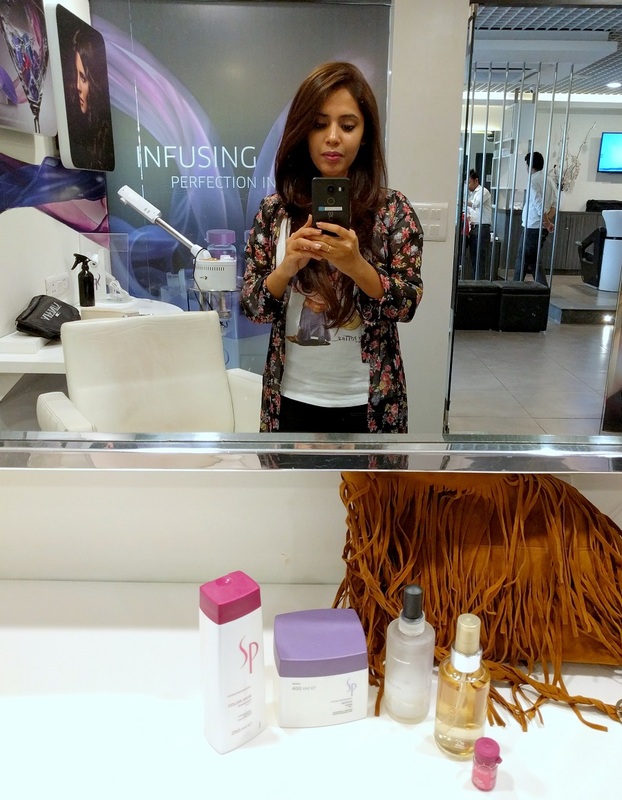 So wait for the next post to know which hair colour range and brand I used and how it turned out!